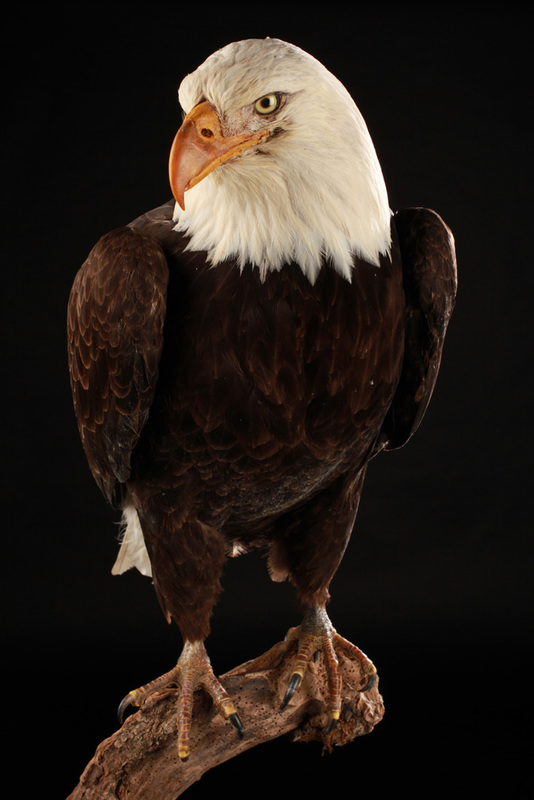 The Bald Eagle is a diurnal bird of prey in the Accipitridae family. In adults who have reached the age of 5 to 6 years, there is no gender dimorphism. They have a decidedly identical plumage. As the name clearly indicates, the head is completely white. Neck, chin, upper covers the underside of the wings and tail are also white, but with a light cream or light tan shade. The beak is black and greenish yellow legs. Sub-adults from 2 to 4 years are quite similar to their parents. Their menu is varied and consists of fish, catfish, carp, perch, salmon, trout, coots, ducks, fulmars, shearwaters, hares, young sea otters and they have four main techniques for hunting. Given its food requirements, the bald eagle holds a place that might provide enough good-sized fish, not too far from the nest site and enjoying relative calm during playback. Under these conditions, generally found near the coast, on river banks, lake shores or the edge of the ocean. This bird needs to roost and nest in old trees or old plots of mature conifers. Selected trees should allow to obtain good visibility. It is present in much of North America, Alaska, Yukon, Newfoundland via the Saskatchewan, Manitoba, Ontario, Quebec and Labrador. The limit of its nesting area lies in the Great Lakes and Maine, along the Pacific coast, on the shores of the Atlantic to Florida. They are clearly territorial during the breeding season. Outside the breeding season, population densities vary depending on food availability. In autumn and early winter, the largest eagle gatherings take place in the Chilkat Valley where about 3,500 birds congregate to feed on salmon. They are partially migratory. They reach sexual maturity around the age of 5 years. When they are able to reproduce they usually join their birthplace. Bald eagles mate for life. However, if one member of the couple should disappear, the survivor begins to find a new partner. Similarly, when a couple fails repeatedly to carry a litter to term, both partners decide by mutual agreement to break the marriage bond. 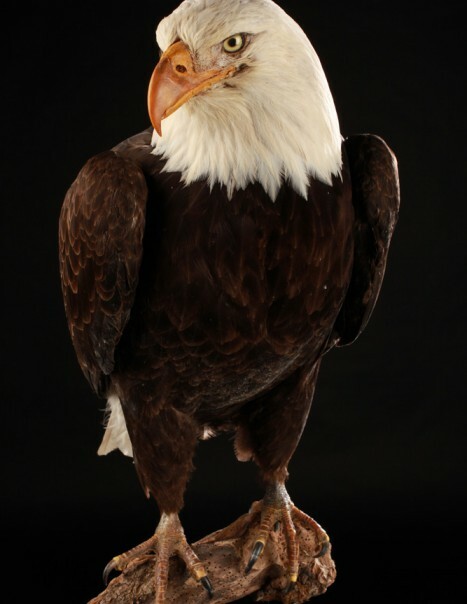 Before mating, bald eagles undertake elaborate parades during which they fly to a great height in the air by doing downhill and acrobatics dive. The most spectacular part occurs when the 2 partners seize by the greenhouses and do not separate until they reached proximity to the ground. The nest is built mainly with branches, it is placed in a large tree near the water or on the ground. Laying includes 1-3 eggs. Its lifespan is estimated at 30 years. The species is not threatened.